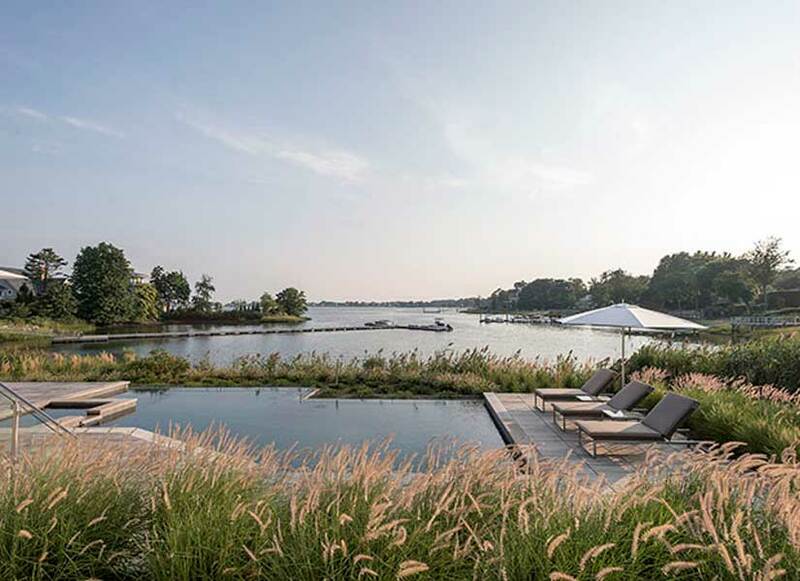 Situated at the tip of peninsula on a deep cove on Long Island Sound, this site’s southern exposure has sparkling waterfront panoramas that frame the parade of watercraft typically in full view. 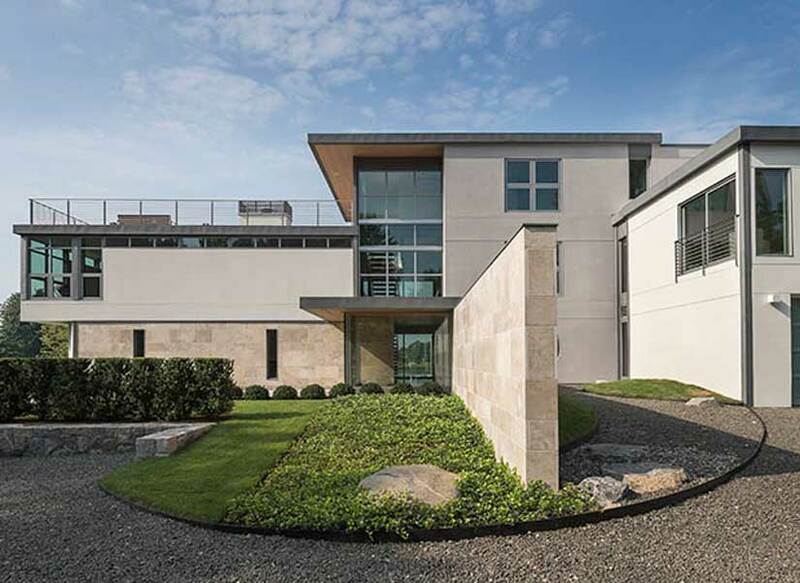 The house, designed by Sellars Lathrop Architects LLC, has bright sunny rooms lend themselves to entertaining as well as everyday family activities. 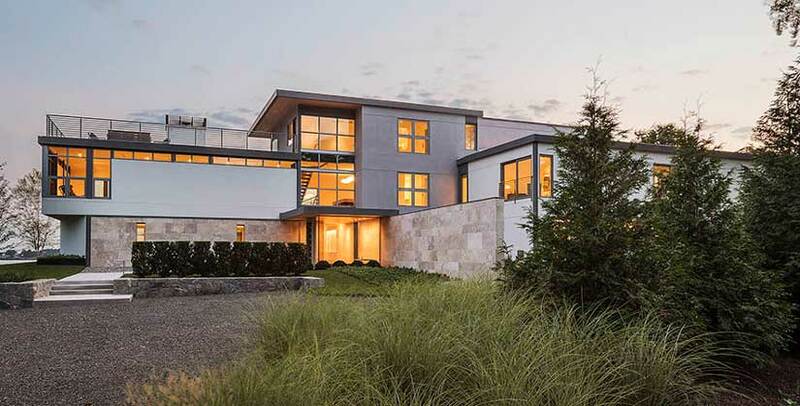 The clean, simple minimalist modern aesthetic has a no-maintenance exterior that offers protection from weather, efficient heating and cooling, with a simple textured palette of natural materials. 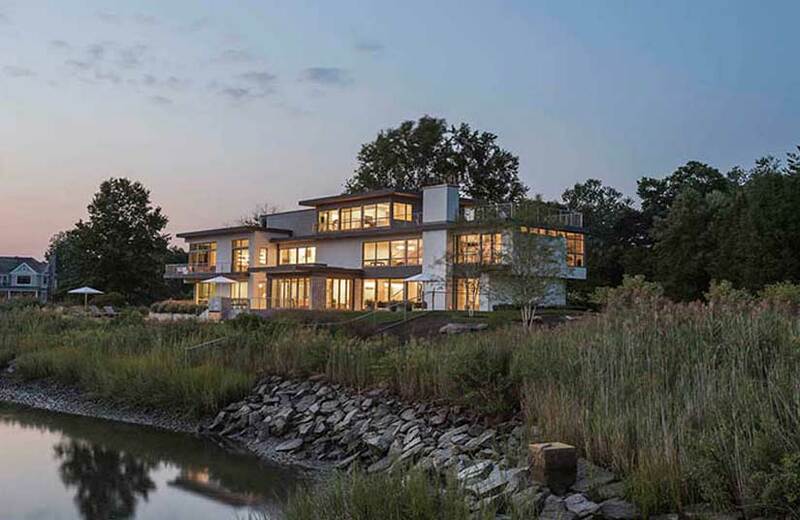 The linear organization of windows and doors along the southern facade offers spectacular views and provides passive solar heating for the winter months, with deep overhangs designed to provide summer shading. The exterior was made from super-insulated wood laid over a steel frame and sealed with acrylic stucco on continuous insulation. Windows use triple-pane, high R-value fiberglass glazing systems, with concrete, zinc and limestone finishes and a low-slope “cool roof” of white reflective materials. 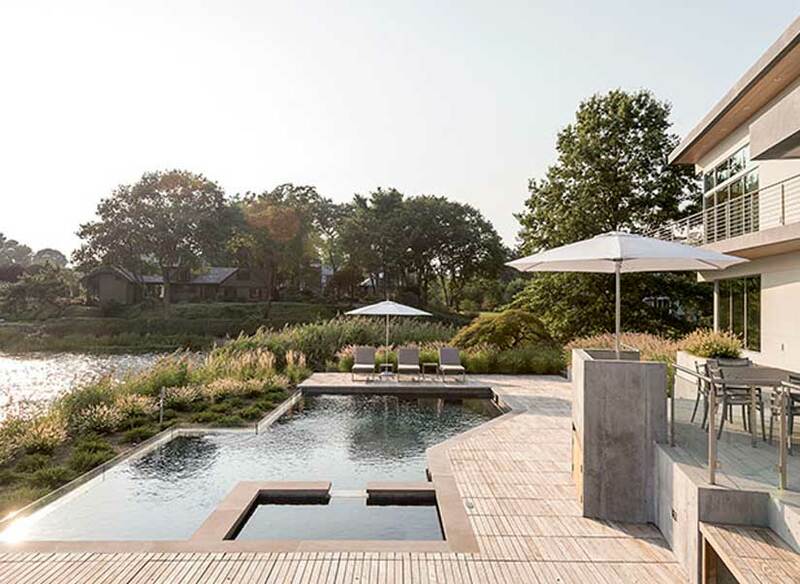 The interior architectural palette of polished concrete floors, jerusalum limestone walls, natural woods, with walls of glass and exposed structural steel give this waterfront home a modern, yet classic, loft-like ambience.